It's been almost 2 years since I wrote a Color Feature post highlighting my fave Essie polishes in a certain colour family. I wrote that Mauve post just because I was obsessed with mauve at the time and had done a bunch of research to uncover more polishes like Angora Cardi from Essie and wanted to share them with you. I've had requests to do more Color Feature posts but wanted to wait until I felt inspired by a certain colour again. Inspiration has finally hit! I'm all about those bright, fresh blues for summer; the ones that compliment your tanned, bronzy skin. The ones that look good with your toes in the sand or hanging by the cerulean waters of the pool. 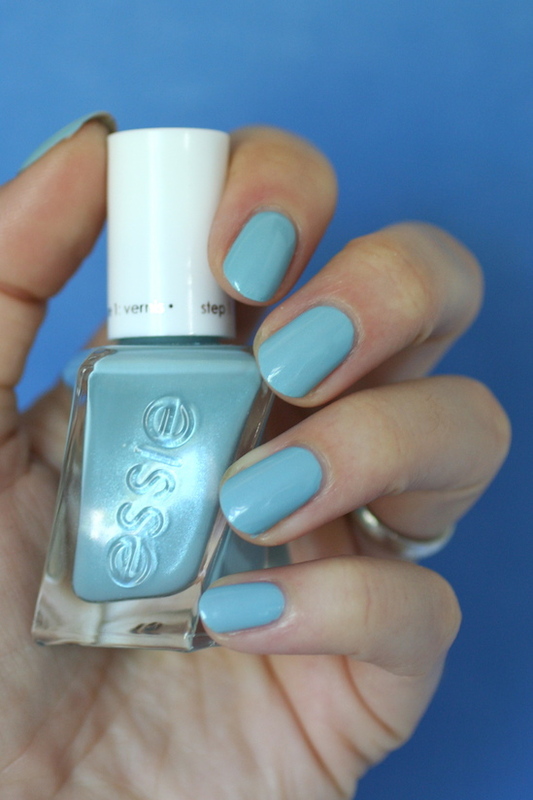 Here's my guide to best Essie blue polishes for Summer! I just LOVE the way this powder blue looks on bronzed skin. Summer is all about easy livin' and the the wide curved brush of Gel Couture makes this polish ridiculously easy to apply and last a long time. You can slap it on and go and look like a million bucks. Of course I was going to add Bikini So Teeny to this list! 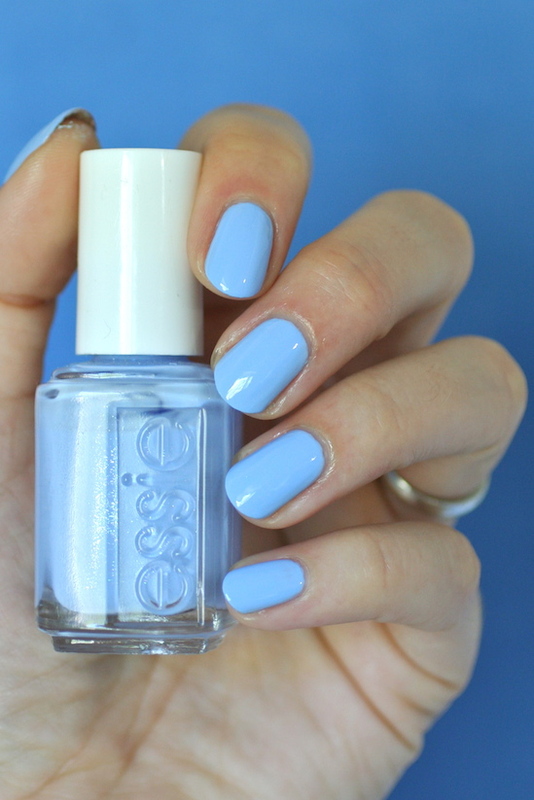 Even the name suggests it's the perfect blue for the summer time. It's deeper and more saturated than the last two and would work really well for medium to deep skin tones. But it honestly looks great on any skin tone. 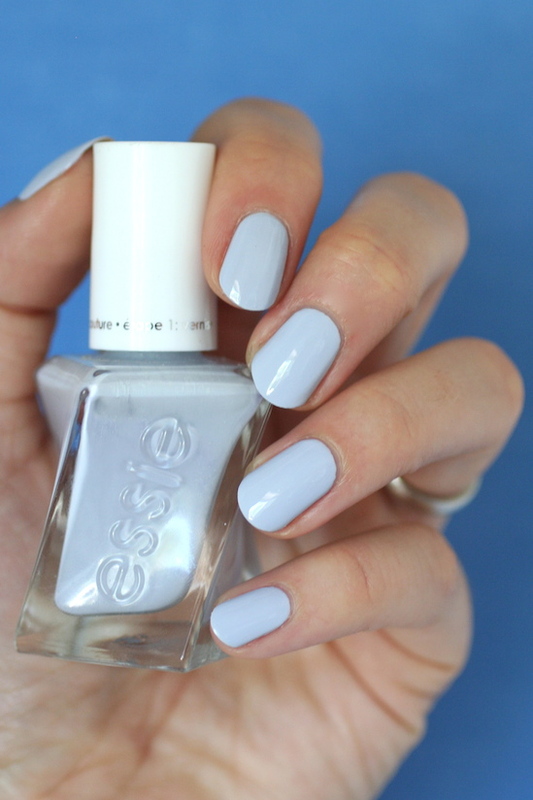 This polish is an Essie girls must-have. This blue is a little more toned down than the rest but perfect for your busy days. In the summer I want no fuss, long lasting nails so I don't have to be applying polish all the time. First View is where it's at with that long lasting Gel Couture formula that's a cinch to apply. It's also got tiny turquoise shimmer that'll catch the light when you are out in the sunshine. Look at that colour! 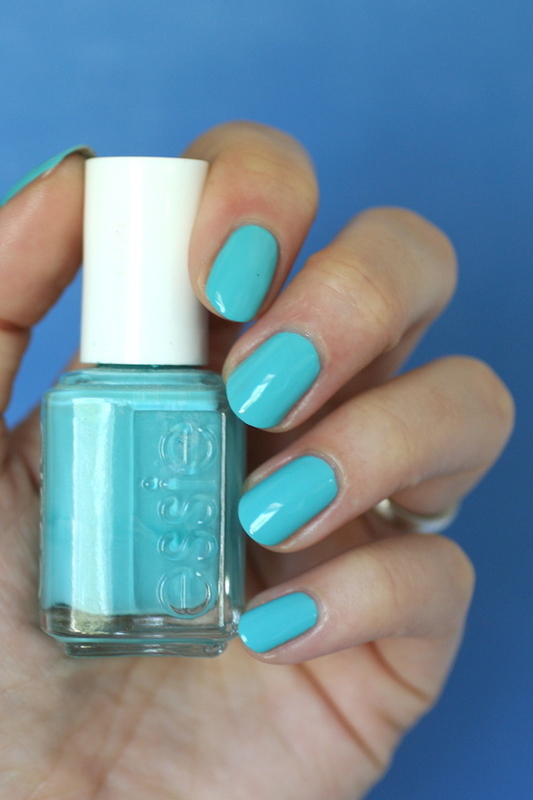 In the Cabana is so bright and fun and it's got a fantastic formula as well. It looks like the colour of turquoise water. This is the kind of polish that commands attention. Like I said before, I love no-fuss, no-muss nails in the summer. 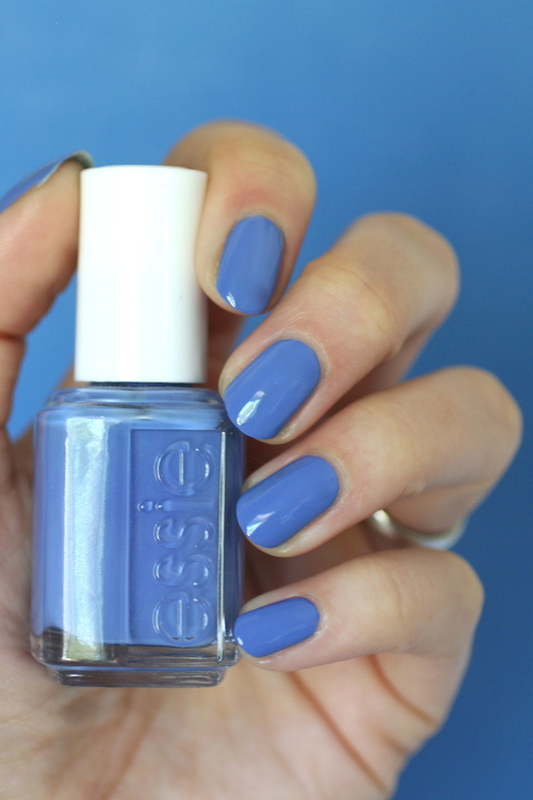 Not only is this a beautiful blue but the formula is impeccable. It's a one-coat wonder so you can polish and be on your way in no time! Throw on one coat of Pret a Surfer then top with Speed Setter and you can look flawless and put together and run out the door to your next summer gathering. I'm not kidding you guys. Your nails could literally be done in 5 minutes. I've been testing out Speed Setter and can't wait to share a review post with you soon! It dries soooo fast. Anyways, back to this blue beauty. You need it. It's perfect. My faaaaaaaave summer blues! These are the ones I'll be rocking. 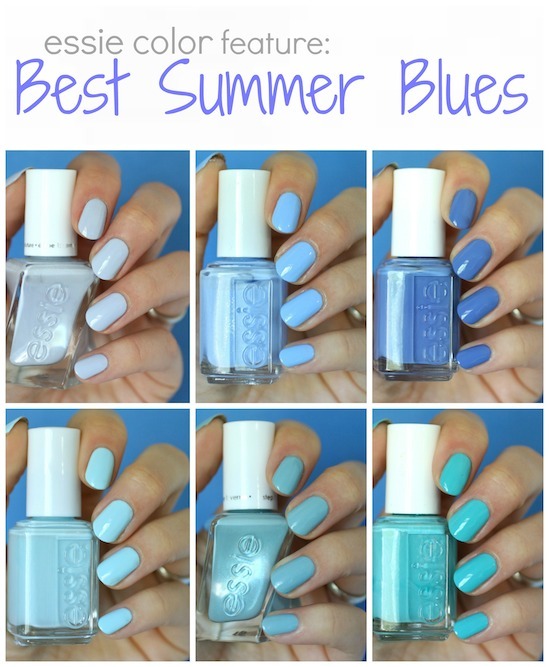 What are your favourite Essie blues for summer? What a great collection of blues! I looooved Perfect Posture and wearing Bikini So Teeny for the first time recently was so fun! I finally have access to my Summer 2017 collection that my husband so kindly picked up for me at Boots and I plan on wearing it to our family holiday to Devon this weekend! Pret A Surfer is SOOOOO GOOD!!! Great picks Kindra <3 I think I'm going to go with Bikini So Teeny next! 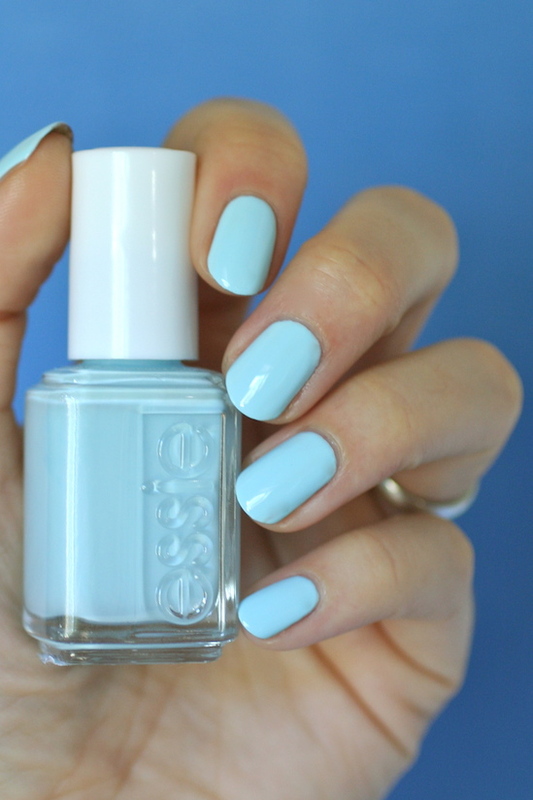 I love Find Me An Oasis - such a pale icy blue - even though the formula frustrates me to no end!